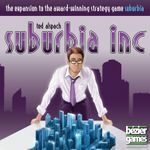 I very much like designing games but I think I prefer to play them. 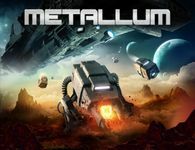 Metallum ... game I most proud of. This year will be my first (and who knows, maybe only) trip to Essen for Spiel. All this thanks to the fact that my game will have its premiere there. This means that most of the time I will be at the publisher booth demoing it so I expect to have very little time to see other games. There is an additional problem ... I will be there on a very tight budget. I have to say my lovely wife was very generous (and this is not a sarcasm) and we agreed on a sum of 125 Euro for games. Man it sounds like a lot but when I was browsing through Spiel 2013 Preview it turns out to be very, very little ... drop in the ocean ... some of the games that will be premiered at the Spiel would consume half of it by them self (eg. Caverna, Nations). So with time restrictions and budget restriction ... I came up with following list of games that interest me (i.e. there is at least minimal chance that I will get them). 1. It has been a while since I created a geek list so please bear with me. 2. 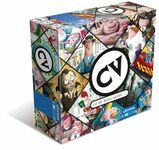 Quite a few interesting games from Poland will debut at Essen. Most of them got leave it rating because frankly it makes more sense to get them back home. 3. If you want to point me to a game please feel free to mention it in the comments. 4. I will be looking for great deals on older games (I've included two of them here as they are very high on my want list). 5. I mostly play two player games with my wife and 4 players games in my gaming group so those are main player counts that I look for. What can I say. This is the reason I will be going to Essen and WOW am I eager to see the final product or what?! + works both with 2 and 4! 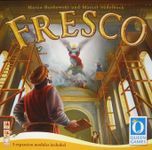 I would love to find a cheap copy of Fresco. I think my wife would enjoy this one. + Works with 2 and 4! 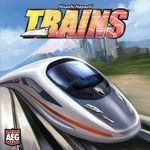 I know that this game is "old" but I am kind of hoping to find cheap copies of the international edition. 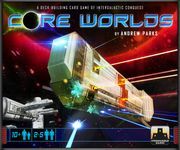 Should wait and get Polish version as it makes more sense but this might be the only game from Poland which I buy on Spiel.